E-mail not displaying properly? View it in your browser. Click here. If you visit any links we will provide your subscription contact info (not your email) to the advertiser or sponsor. In-Sight vision systems deliver unmatched ability to inspect, identify and guide parts. These stand-alone systems combine a library of advanced vision tools and image acquisition and processing to speed production, minimize defects and reduce costs on your production line. Complete the form below and enter to win an ultra-compact five megapixel (MP) In-Sight 8405 to put on your line. This system features a flexible form factor which can be deployed at angles up to 45 degrees and delivers high-performance vision tools and high resolution — ideal for integrating into any space. Click the button on the right and enter to win the In-Sight 8405. Overcome your toughest inspection and defect detection challenges using the smallest stand-alone 5MP vision system! ©2015 Cognex, All rights reserved. 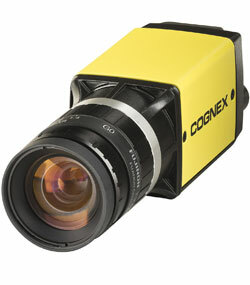 Cognex, DataMan, Cognex.com and the Cognex logo are registered trademarks of Cognex Corporation.